Read ALL the News so you Don't Miss Out! "There is power in blood. Coming from a long line of titans, your blood is especially potent. You have mastered the ability of calling on the power running through your veins to bring devastation to your foes. " Power and victory can be yours! Are you prepared to consume your OWN life to deal damage to your foes? Drain your own health to increase your defense? Tap the power of your fury to deal massive damage to your enemies? Yes? YES! Then it sounds like you're ready to become a Blood Titan! Members can farm the Blood Titan or Ultra Blood Titan boss monsters for the 450 merge tokens needed to create the Class. OR complete the member-only quest at Shi Mar (arrives Friday), which rewards stacks of 1,3,5 (or rarely. stacks of 15 or 25) tokens. The member version of the Class will cost 0ACs for free storage. 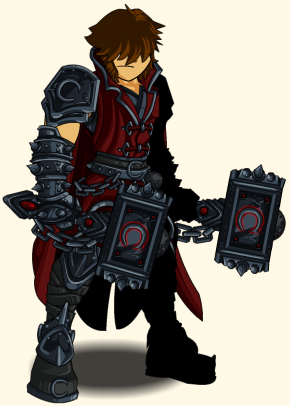 All players can purchase the Blood Titan Class for 2,000 ACs. Cysero will have a skill breakdown for you tomorrow! 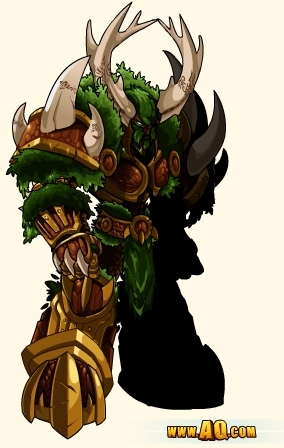 The Dunestalker Shop in Battleon leaves on Wednesday, April 30th! 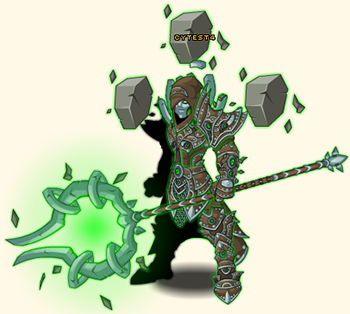 The Astral Guardian and Astral Wanderer shop leaves on Wednesday, May 8th! Find it under the Shops tab in your Dragon Menu! The Astral Guardian and Astral Wanderer sets! * He brought you the Ultra Blood Titan animation! 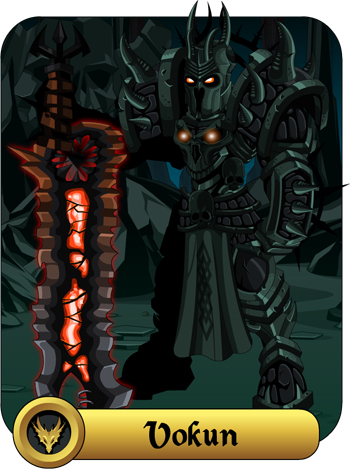 ** Kezeroth the Worldsaver's Limited Time Shop took this Tuesday's slot. Jade Samurai are known to strike faster than snakes! And the Elite Asgardian package arrives! More news on that soon. PS: Have any of you heard the rumors? Artix called the team together this morning to let us know some dire news: ... Grimskull is coming! We are not sure what this means, but he was VERY serious. We will need to buff our defenses and post guards on the perimeters! Is you car a Girl or a Boy? Ever wonder if the vehicle parked outside your home/castle/secret volcanic lair is male or female? We often refer to boats as a “she” because, in Romance languages, the word “ship” is feminine. But crazy ol’ English doesn’t have genders for objects, as is the case in many other languages. So, if you’re living in an English-speaking country, how do you know if your car is a boy or a girl? Oh yes, right there is Beleen’s tC. 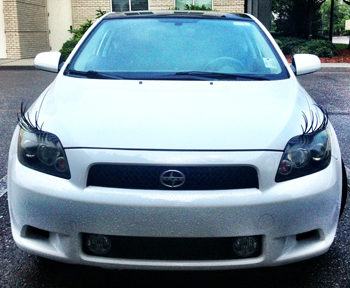 And she’s sporting a mighty fine pair of long, lovely eyelashes—equipped with waterproof mascara, of course! 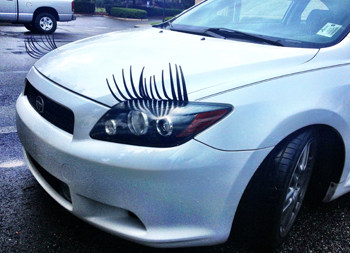 It’s pretty simple to tell if your vehicle is a male or female based off the eyelashes. And you should SEE all the other cars that stare at her, flash their lights, and honk their horns when she drives by. Cat Calls in the Car Industry. Hehehee... I mean, beepbeep beepbeep beeep (that’s EXACTLY how a car laughs, btw)! Upon the winds you will find a whisper of doom, "Grimskull is coming." We thought he was just something the Paladins thought up to scare the young Knights in training. The slight possibility he could be real sends a shiver down my spine. The rumors say Grimskull is coming... but if the stories are true, it will not be this week. It will not be when you expect it. It could happen at any time, any place... all that you know is it WILL HAPPEN. When it does, it will happen in AdventureQuest Worlds. Quibble Coinbiter's Shop gets NEW Gear Friday! We have had an OVERWHELMING amount of positive feedback from you guys on this Quibble shop... and even more suggestions about what we should put in it this Friday! Read below to see an incomplete list of what's coming. * DragonFable players know that Xan used to be called Alexander, but for ease of recognition, we're keeping Mirror Xan's name as Nax. * No one was really angry, but the pun worked well! So Much Melee and Rage in One Class! 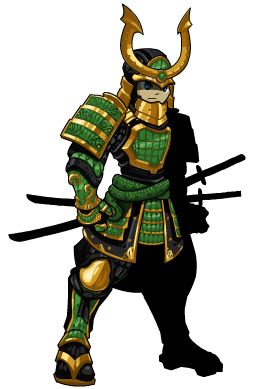 Yorumi finished the Blood Titan Class coding today and it is now ready for staff testing! Prepare to break some skulls, because with this tank class, you'll want to charge into battle, mace-first! How Can I Get the Class? Good question! Members can earn the Blood Titan Class by saving up Blood Titan Tokens, which drop from the Blood Titan and Ultra Blood Titan boss monsters! Find them when you /join bloodtitan! This week we'll ALSO add a quest to help you farm up tokens. The Class will ALSO be available for 2,000 AdventureCoins! 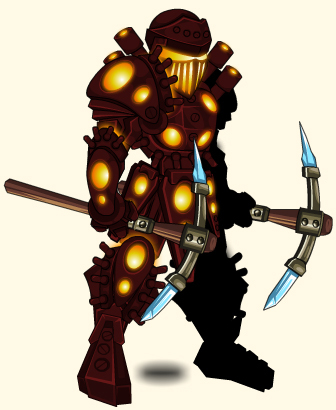 Find Blood Titan in the Class Shop on your Dragon Menu this Friday. Expect a skill breakdown from Cysero later this week! What About the Tier 3 Sepulchure Weapons?! *You can HEAR the pink in her voice when Beleen gets excited and/or grateful. Limited Time Shop is LIVE! 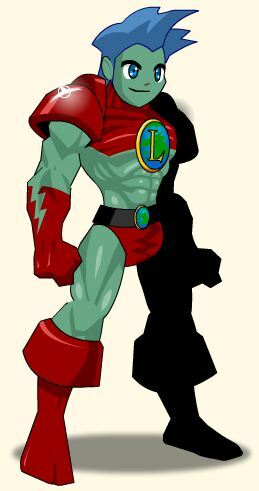 In the Mirror Realm, Kezeroth the Worldsaver kept Lore from ending by throwing himself into the heart of a volcano ... and now you can honor his sacrifice by equipping his earth-themed gear! 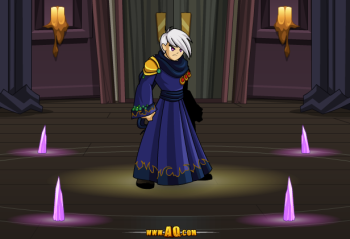 Find his 48 hour Limited Time Shop in Battleon! Will you save the world... or end it? The shop will have two versions of the set: one for Members and one for AdventureCoins! New Rare Sets & Challenge Fights! 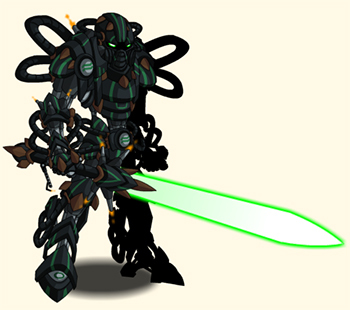 This week, Quibble Coinbiter has returned with an all new set of never-before-seen, slightly-used items from the future! In this case, he's selling items from the Mirror Realm where Dage the Evil is Dage the Good, Paladins are Painadins and the Doomknigts serve the light! Doomlight Highlord and Dark Painadin Overlord! 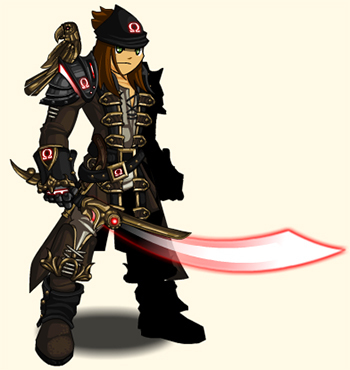 Omega (NOT Alpha) Pirate set! Blood Titan and DoomKitten Challenge Fights! This week we have a few new Challenge Fights for you! The Blood Titan is a massive monster who is waiting to stomp would-be-heroes into the ground. There are 2 versions of this monster for mid- and high-level players and the long awaited Doom Kitten fight for lower level players. Each monster has drops for Members and non-members alike! Don't miss out of the all-new FUN! To battle the Blood Titan and Ultra Blood Titan, find Shi Mar in Greenguard East, on the edge of Darkovia! To take on the DoomKitten, speak with to Kottur in Warlic's Magic Shop! Blood Titan and DoomKitten attendants! Has a .01% drop rate and does extra damage against undead monsters! * The Class will also be available for 2k AdventureCoins if you have not upgraded your Hero. How Old IS the Undead Legion...? Dage's Undead Legion has a long, very dark history. Much came before the Undead Legion as we know it today was formed... and Dage has many plans for it which have not yet been revealed. In order to explore the Legion's history more fully, and better plan out suitable quests, we're going to delay releasing the Ancient Undead set until NEXT week. Next Friday, we'll release this set along with specific quests to let loyal members of the Undead Legion farm up the tokens necessary to purchase the coming Undead Legion Class! The Class will be available for either a ridiculous amount of Legion Tokens OR for AdventureCoins (but you will need to be a member of the Legion to buy it with ACs). This Class will NOT go rare, and we are planning to release the Class this Summer. Warriors who have not yet learned of the Legion's power deserve to share in the deadly might and majesty of the coming Class. Fair warning, Legionnaires: You WILL want to start farming early to earn enough Legion Tokens to unlock it, though! Post-thought: I've got an idea crowding my brain-meat. It might be time for another Legion-based short story. 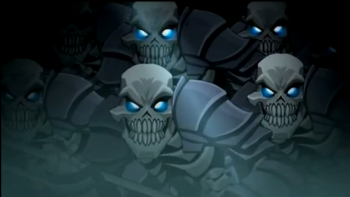 Anyone up for exploring how Dage converted the first warriors to his Undead Legion? Coming later tonight: Quibble Coinbiter's shop returns! Take on the DoomKitten Challenge boss fight in Warlic's Magic Shop OR tackle the Blood Titan (and ULTIMATE BLOOD TITAN) Challenge boss monsters in Greenguard East! That Moglin always has the coolest gear! Why hello my lovely heroes and villains =D Tomorrow is going to be the best day ever. Why? 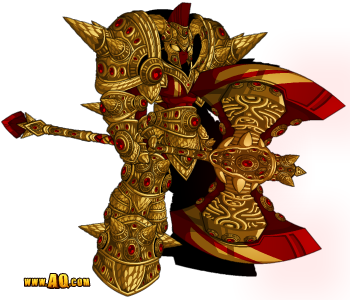 Not only is it Friday (and Fridays are always awesome, duh), but Quibble Coinbiter is also headed to Battleon! Yippee! 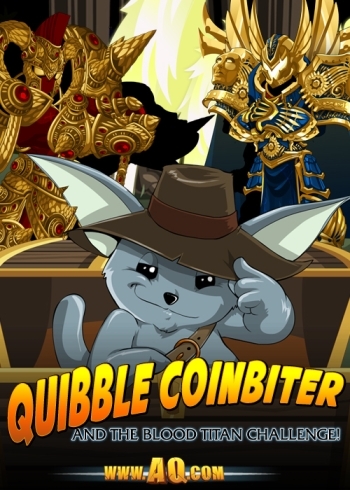 Quibble Coinbiter is everyone’s favorite sales Moglin who travels far and wide, collecting never-before-seen Items to add to your impressive collection. 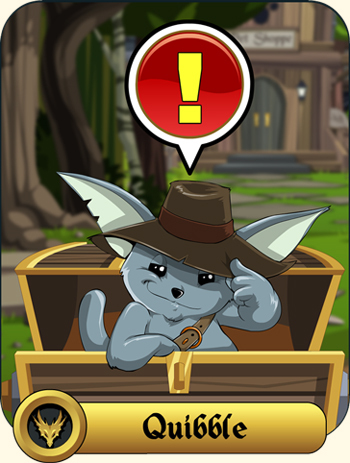 No one knows if—or when—Quibble’s Items will go permanently Rare, so your best bet is to get all the goodies in his shop just in case it’s the latter! Do you ally with Good or Evil? 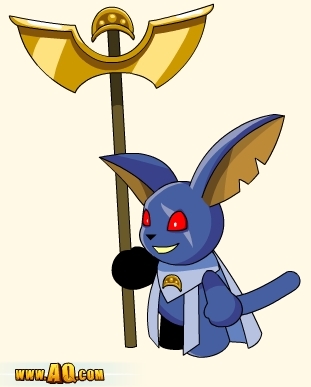 That slick Moglin also has the uncanny knack of showing up right before the next Lord of Chaos strikes… and always seems to know an awful lot about the Chaos Lords, too. Cryomancer Nax will also have an Ice Skull helm! No one wants the Lord of Chaos to win (well… except for Drakath, who is all bent out of shape because we wouldn’t make him an in-game Mod), so suiting up in Quibble’s sweet swag is one of your best—and most fashionable!—defenses against the Chaos uprising. The opposite of Alpha Pirate is... Omega Pirate! Let’s get real here, folks—Quibble stocks Battleon with epic Armors, Helms, Weapons, and more, but he charges the AQW Team a hefty price. It takes a lot of time, energy, creativity, coffee, and money to craft these amazing items featured in Quibble Coinbiter’s Shop. Cleric Zorbak just wants to help you heal! But you can help! Your kind donations in the form of AdventureCoins and Membership purchases go towards helping AQW grow bigger and better every week. We could not have made AQWorlds without your help and support, and any donation made to us is greatly appreciated and continues to make AQW your favorite online MMO! You guys and girls are awesome, and I look forward to continuing our adventures together! I wouldn’t want anyone else to battle alongside as we defeat the 13 Lord of Chaos! Let’s Battle ON! You said the Astral Guardian Shop Would Still be Here! You are correct, Hero! It IS still available in-game, but the shop has been moved. To where? 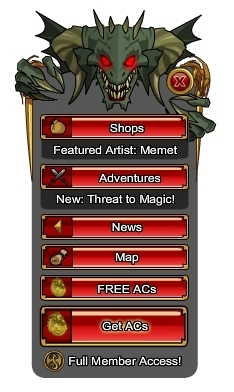 Into your Dragon Menu, so you can access it from anywhere inside AQWorlds. If you've logged in since yesterday, you'll see we made some changes to the menu. What All is on the NEW Dragon Menu? How Do I Find the Shop? And here's a pictoral guide for those of you who hate words. (They say "A picture's worth a thousand words," after all.) So for you, graphic illustrations of how the Astral Guardian gear is only 3 clicks away! Step 1. Click the Shops button on your Dragon Menu. Step 2. Click the Astral Guardian shop button on the Shops tab. Step 3. 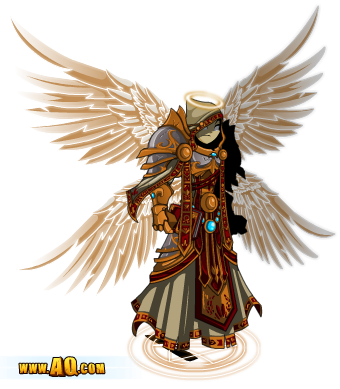 Choose the items from the Astral Guardian or Astral Wanderer sets from the shop before it leaves May 1st! Will All Shops Be On That Tab? There are a ton of great reasons to renew your Membership in AdventureQuest Worlds… but the #1 reason is that your upgraded account will also give you PRIORITY ACCESS to the Alpha Tests of our new video game... and the next test is later TODAY! Programmer Zhoom has been hard at work on "interactive objects," so we are bringing the test server online later today (and leaving it up until AQWorld's new release starts Friday night) to try it out! 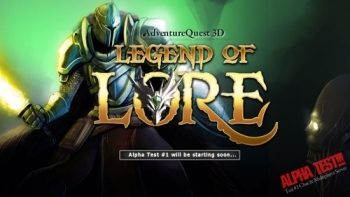 To participate in the Alpha Test you must be a Member of AdventureQuest Worlds or have supported one of our games in the past. We love you guys for making all of this possible! Can YOU take down the Troluk? 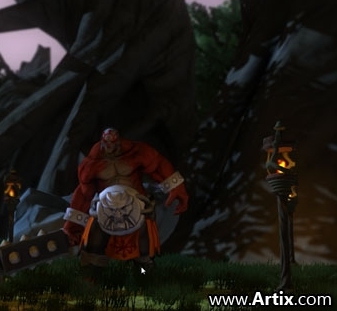 Read all about our new 3D game on Artix's Design Notes at Artix.com! Become a LightCaster and Command the Light! Become a LightCaster to destroy the Darkness! Will you wield the Light... or fight against it? The Order of the LightCasters formed to support the Champion of Light, but war grows closer and they need YOUR help! 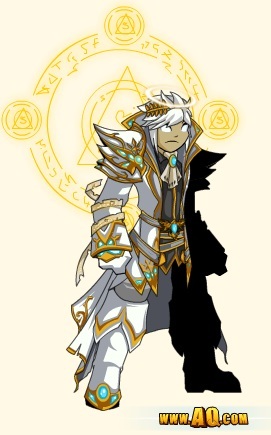 Starting today, April 24th, at 12 PM server time (Noon), upgrade with either a 3 month membership package OR purchase a 5,000 AdventureCoin package to unlock the LightCaster Armor set! ALL of the items unlocked when you purchase either the 3 month membership or the 5K AdventureCoin package will be non-member, 0 ACs for free storage AND will come with a character page badge! Get all 8 PLUS 2 Member-only exclusive weapons for free when you buy a 3 Month Membership package! Get all 8 items for free if you buy a 5,000 Adventure Coin package! OR buy individual LightCaster items from the Limited Time LightCaster Shop for AdventureCoins! The shop will be available until June 4th. Astral Guardian and Wander Sets Leave at Noon! 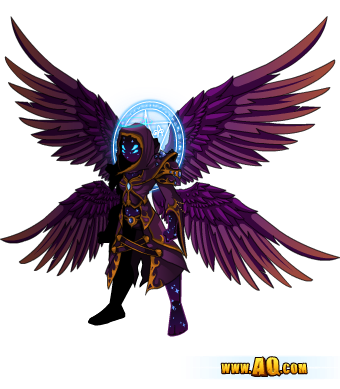 The introduction of the LightCaster special package means the Astral Guardian and Wanderer package will go rare on Wednesday! Since we promised that the Astral Guardian Limited Time Shop would remain in-game until May, it will be available until May 1st. Limited Time exclusive items from Memet! It’s Tuesday! And you know what that means: the second week of the Limited Time Artist Showcase Shop is underway! This week’s featured artist is AQWorlds’ own Memet, who unleashes beautiful magic every single week in our new releases. Memet loves what she does—and now you get to gear up in an exclusive Armor Set that you’ll love, too! Nightmare Hunter Armor -- RARE! Black Iron Bow -- RARE! 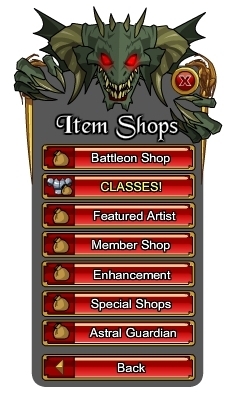 Just log into Battleon and click the big red “Featured Artist Shop” button with the countdown timer! You can’t miss it! Memet is cute and cuddly on the inside and out! 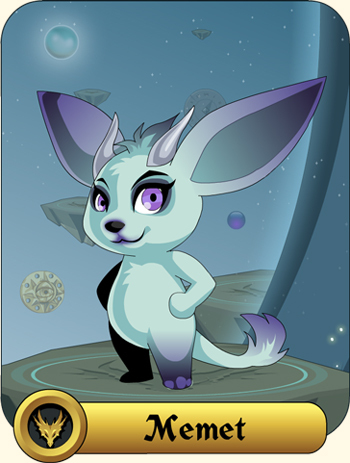 Memet is not actually a Moglin, however—she is a baku, a dream creature, who changes her shape to suit her needs. Memet usually appears as a Moglin because she's found that people are very friendly and helpful to her in that form… because her real form is much more frightening! What is the Artist Showcase Shop? Every Tuesday, AQWorlds releases a special Featured Artist Showcase Shop loaded with items that an Artix Entertainment artist creates using their own style and flair. Our wonderful artists get to unleash their creativity to make some truly amazing Armors, Weapons, Helms, and other Items just for you! But these items are only available for a limited time, so get the gear while there’s still time! 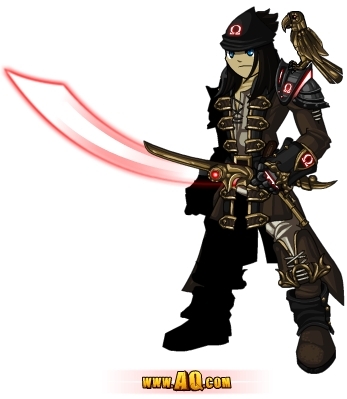 Last week’s featured Artist was Vokun, and he released undead pirate gear for landlubbers and seadogs alike. 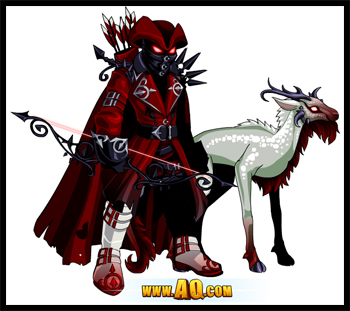 But for those akin to nightmares and mystery, you will absolutely LOVE Memet’s Nightmare Hunter Set! Give Memet a Tweet on Twitter, too! Travel to Battleon now and get your Magic on! We have BIG plans for AE's biggest MMO! Every Monday, the team leads meet to go over their plans for the week. In today's meeting*, Artix asked, "Hey, AQW team! What INCREDIBLY-AWESOME releases do you guys have planned?! We should tell EVERYONE about all the insane things we've got planned so they can gear up before the BIG BATTLE!!!!" May: Begin the 2-part Xing/Xang** mini-arc in the Mirror Realm! June: Summer of Dage! Dage the Evil takes over AQWorlds with NEW gear, quests, boss fights, and a Class****! June: More updates to the town of Battleon! July: A NEW member-only zone with challenge fight, mini-game, Class, and exclusive gear! July or August: the 12th Lord of Chaos zone... can you guess WHO the Chaos Lord is?! Prepare for the Summer of DAGE! ** Why are we only just NOW doing the 2nd Lords' zone? Because Chaos, that's why! *** A player on Twitter suggested Horcwarts University! LOL! **** Cysero and I will still head AQW, but we've asked Dage to design ALL of June's releases! ***** Yorumi is already BACK to work on Guilds AND has made significant progress! Let us know which releases YOU are looking forward to next by telling us on Twitter (Artix, Alina, Cysero) or Facebook, or the forum! Help Captain Lore Save the Planet! Be a hero, join the clean-up crew to save the world from the evils of pollution! /Join pollution to help Captain Lore battle General Pollution, the foulest villain around, free his eco-friendly energy platform from the chaotic clutches of General Pollution! Reduce, reuse, and recycle as many elementals as you can to unlock Captain Lore's shop and gain access to the greenest gear in the game! Captain Lore. Yeah, we went there. Alternative Energy-themed gear by J6! The Earth Day event and all its seasonal rares will stay in-game for ONE WEEK, and leave April 29th! Members get special blue names now. Just another Member Only Perk to set Members apart from everyone else. HeroSmash did it a very long time ago... OverSoul Founders get special colored names (they don't have a Membership option) and people have requested special Member Only colored names for a very long time. Today we found a few spare minute to knock this one off of the giant AQW TO-DO LIST. We are also adding a slight black outline to Member Names as well to help see them a little better. Gear Up for Battle This Week! We've got a lot heading your way, Hero! Take a look at the lengthy list below... and prepare to charge the battlefield against the Doom Kitten or the Blood Titan! Join the Undead Legion to unlock stores of the darkest gear on Lore... OR storm Quibble's shop for gear you've never seen before, and that you will probably NEVER see again! 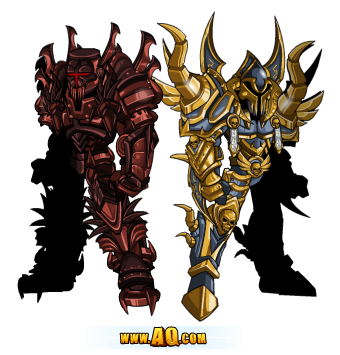 Coming to Quibble's Mirror Realm Shop THIS Friday: Dark Paladin Overlord and DoomLight High Lord! 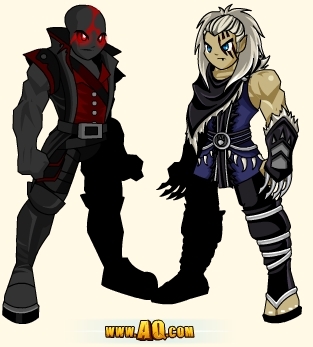 These wicked-cool armors plus a host of other items from the Mirror Realm will be available next week! * This sounds like an AWESOME book title! Upgrade to unlock the LightCaster Set.... straight from Aranx's forge in the Mirror Realm! LightCasters dispel ANY Darkness around them! Monday: Earth Day returns! New and Seasonal Rare items... and Captain Lore! Tuesday: Memet's gear in the Featured Artist Limited Time Shop! Friday: Doom Kitten and Blood Titan Challenge Boss Battle! What do you think? Blood Titan Class? Even MORE coming this week! Tier 3 of Sepulchure's dark gear! A brand-new Undead Legion set... from before the Legion was formed! Only available to Undead Legion members, but WILL sell for Tokens OR AdventureCoins! Major updates to the Travel Map! More work on Guilds and fixing the Book of Lore! 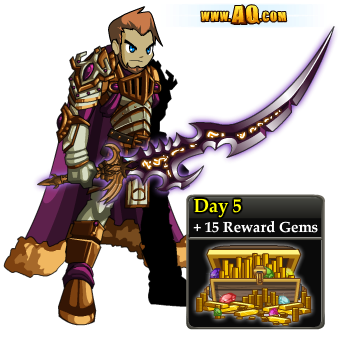 Complete 5 days of Daily Quests to Become a Realm Guardian! Battle to defend the people who depend on you! Lore needs a Hero, whether they are Good, Evil, or Neutral... and they want YOU! 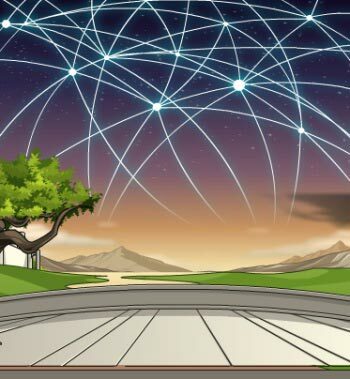 Log into AQWorlds for 5 days to unlock 1 new quest a day! Save the Realm Gems you receive to spend in the Realm Guardian Shop! Login for 5 different days and complete Jiro or Nia's quests! Go North from Battleon to find Nia, left of Battleon to find Jiro. Talk to Jiro in Stonehand (just outside Battleon) or to Niamara (walk North from Battleon) to accept the Daily Quests. You can also talk to Joy in Battleon if you want a quick progress check! Unlock more rewards with each quest you complete! The more quests you complete, the more Gems you get! And if you are a new player beginning the quests right after finishing the Tutorial in Stonehand, you'll gain over a full level while completing them! You can only complete ONE of the quests each day! It's the lifeblood of the world. The mysterious force that allows people (and some other things) to bend the forces of nature to their will... to weave reality into whatever shape they wish. Including shaping yourself out of pure mana! There are many different sources of magic but mana mostly flows from the para-elemental plane of magic into lore's core where it flows to the surface and wraps the world in a web of ley lines, or invisible rivers of magical energy that flow from place to place. Normally the ley lines are constant as the rising of the sun but something has begun deep beneath the suraface of Lore that has cause the ley lines to drift. If this continues, magic fields all over Lore will begin to destabilize causing unpredictable magical effects and disasters of a global scale. Speak to Warlic in the Magic Shoppe in Battleontown to begin your Journey to the center of Lore! In this release you will find an event Rare Shop full of amazing, Center-Of-Lore themed items that will only last for a limited time and an unlockble Adventure Shop full of cool gear that you can only get by completing the story. 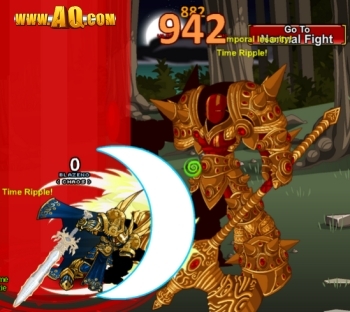 Since we made this release in our continuing effort to develop New Battleon, most of you won't find it to be too much of a challenge (pretty low level for new players) but the gear is great, there's still for Members as well as non-members and it's a pretty entertaining story! The Lucky 13 Contest Shop Arrives! 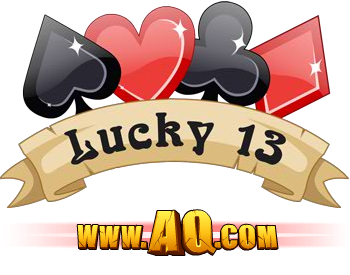 Tonight we are also release then Lucky 13 Contest rewards. Once again, thanks to everyone who tried to help us reach our goal of 1.3 million new users on AQW. You can find the shop on the Game Menu (Click the SHOPS button) which you can now bring up anywhere in the game by pressing the Treasure Chest Button on your game nav bar. If any of your fellow players are having issues finding the shop, please help them out or link them to this post. All free, all for you! Don't miss tonight's Design Notes, Part 2! ... AND Part 3! Battle in this weekend’s PvP card game Tournament! Enter our 1st ever Tournament! Winner gets a statue of their character in town. Top 100 players get immortalized on the wall of champions. The slaughterfest begins today Friday, April 19th @ 4pm EST and the carnage ends on Sunday, April 21st at 8pm EST. Think you have what it takes to be in the top 100? ... Or do you just want to hunt the players on the top 100 list and ruin their winning streak? The tournament is open to ALL players. To compete, battle random players using the “BATTLE: Player” button at the bottom of your screen. Every win brings you closer to the ultimate 1st place price!. And if you do achieve 1st place on the leader board at the end of the tournament, a statue of you will be constructed in the main town! Top 100 players will also be immortalized on a web page called the Wall of Champions for everyone to see. We reserve the right to award players at any level if they have battled with honor. “Disconnects” are being tracked. High numbers of disconnects from battles will disqualify you. Tomorrow you, me and Warlic will be heading straight down! Something has begun to destabilize the magical lines of fore that flow over the face of Lore, helping magi control the elemental forces of magic and Warlic suspects the cause might lie at the center of Lore itself! Here's a sneak peek of some of what you can expect to see in the stand alone adventure called The Center Of Lore! An Unlockable Adventure Shop with Member and non-member items! The delivery of several letters! My failing to understand your very obvious requests! More than a few hidden Minecraft jokes! Almost no Jules Verne references! At least one skeletal dragon arm! A comfortable crushed velvet chaise lounge! If you manage to find all of that stuff, I'll be pretty impressed but I guarentee that it's all there! 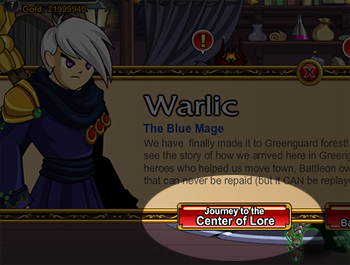 The fun will start at with Warlic in the Magic Shoppe in Battleon and carry you to all over the face of LORE! Well... 1 place on the face of Lore. 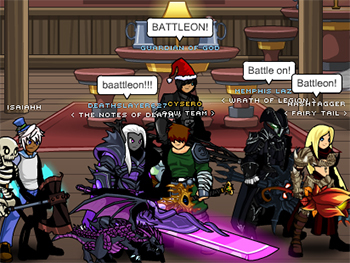 Then back to Battleon. BUT THEN you get to go UNDER the face of Lore! 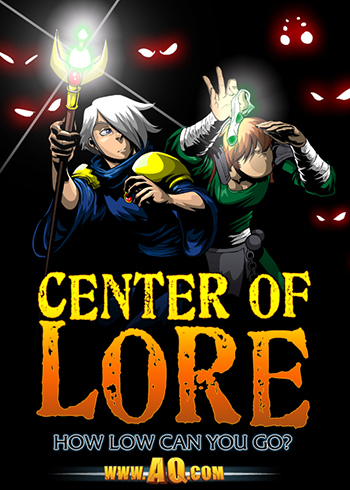 Discover the Threat in the Center of Lore! Hundreds of miles below the town of Battleon, cracks race across the face of the crystallized mana core that is Lore’s heart. The spiderweb of fractures crawls across a surface untouched by man or beast for eons. The sound dies, and silence reigns once again in the empty chamber surrounding the core. Crystal dust settles to the floor. All is still, and safe… for now. As reverberations from the soundless blast hit his shielded chamber, Warlic’s eyes fly open. Candles ringing the meditation room shake, flames sputtering on unburnt wicks. He gestures; the fires die. Warlic sits, eyes closed, listening to the silence. He slows his breathing until it matches the thrummm thrummm thrummm of Lore’s heartbeat. Stilling his thoughts, maintaining calm, Warlic thrusts his mind – his consciousness – into the network of ley-lines crisscrossing Lore, feeling for anything… out of place. In the eternity between one breath and the next, he identifies 11 cancers in the veins carrying mana around the world. Sees the rot eating away at key ley-line intersections. His eyes fly open, and the candles spring to light. In the outer chamber, his familiar springs from its perch, flapping to the forge of the Mad Weaponsmith. Warlic presses his lips together, smiling grimly. It begins. FINALLY, it begins. He must meet with Cysero NOW. They will need to gather reactions from mages across Lore. Anyone actively drawing on the ley-lines will have felt what he did. This week's story is a prologue, hinting at what is to come during the end of the 13 Lords of Chaos Saga! You will not discover EVERYTHING about Lore's mana core tomorrow... but you will journey to the Center of Lore and see many things no Hero has seen in many millennia. The Mysterious Sandsea Desert Calls to You! Can YOU stalk the dunes without raising a dust cloud? Sneak up on a Cactus Creeper before he decimates the only oasis for miles around? If the answer is yes, then YOU would make the perfect Dunestalker! And if the answer is no, you'll want to head to the Sandsea and begin training, Hero! Get 25% More AdventureCoins with CashU! Talk to Arvio in Battleon to begin your adventure in the Sandsea desert! His Dunestalker shop has the perfect gear to help you reach the oasis, and from now until April 30th, you'll receive 25% more AdventureCoins or Artix Points when you checkout with CashU! The desert calls you, Hero! CashU is a safe, secure way for our players in the Middle East and North Africa to upgrade or buy AdventureCoins online. You can use CashU to buy Artix Points on the Portal site* or at AQ.com. * Find payment methods available in your country here! The start of something epic every week! Artix Entertainment has so many amazing artists that harness wonderfully unique art talents. The artists of the original AdventureQuest, DragonFable, MechQuest, AQWorlds, EpicDuel, HeroSmash, and OverSoul implement their own artistic flair and style into everything they create for their game. 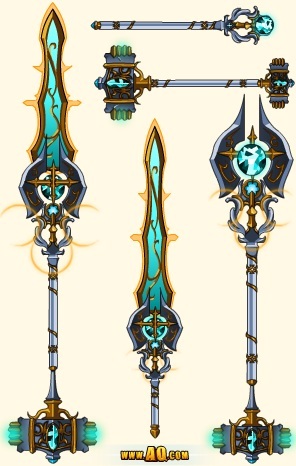 Wouldn’t it be AWESOME to see an entire AQWorlds Item Set made by one of the Artix Entertainment artists every single week? In some sort of limited-time Artist Showcase Shop? Right in the Game Menu? Starting today, Tuesday, April 16, and every Tuesday that follows*, AQWorlds will release a special “Limited Time Featured Artist Showcase Shop” loaded with items that an Artix Entertainment artist creates using their own style and flair. 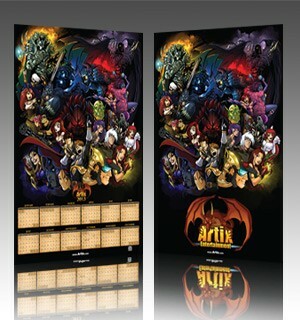 The Limited Time Artist Showcase Shop will feature a complete Item Set made by an Artix Entertainment artist, created in any manner they so choose. 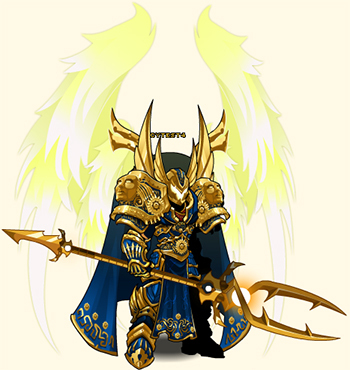 This shop encourages our wonderful artists to unleash their creativity and make some truly epic Armors, Weapons, Helms, and other Items for AQWorlds. And because it’s called the Limited Time Artist Showcase Shop, the artist’s items will run for 1 week (Tuesday until Tuesday) with a new artist’s Showcased Items replacing the previous set. At least one RARE item will be included in each artist’s showcased shop. All other items in the shop may or may not return at a later date—that’s all up to the artist! The Rare Item will always sell for AdventureCoins (free storage woohoo!) and will ONLY be available during that week. *We say every Tuesday… and we mean it! We’re ganna keep on releasing new Artist Showcase Shops every Tuesday until we run out of artists… or run out of coffee. Vokun is the first to be featured in the Limited Time Artist Showcase Shop! Vokun’s person stash of undead pirate items is guaranteed to shiver the timbers of friends and foes throughout your swashbuckling travels. Void Blade of Vokun – RARE! 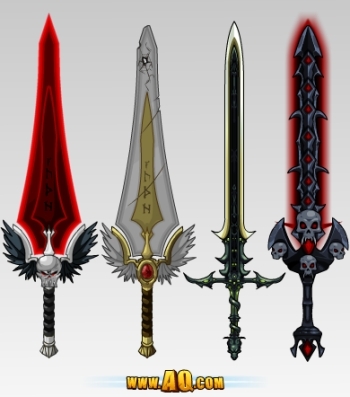 The Void Blade of Vokun will be going forever RARE on next Tuesday, April 23, 2013. 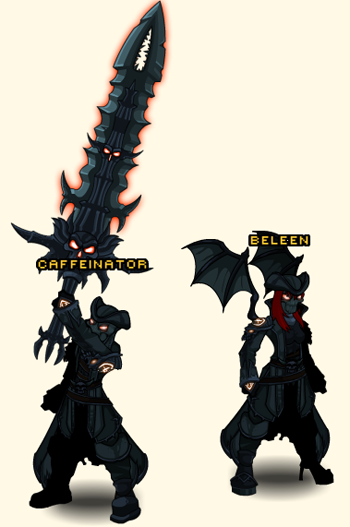 The Void Blade is selling for 200 AdventureCoins—so get more ACs now if you wanna score this awesome Rare blade! Legend foretells that Vokun was a Lord of the Forgotten Tombs, guarding its fabled treasures and dark magic. When the Forgotten Tombs collapsed during an earthquake, Vokun locked himself up for a millennium. 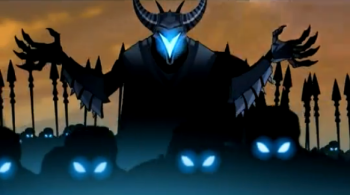 Now that Vokun has resurfaced, he has harnessed the Tombs’ dark magic, creating a new breed of dark army followers. In the real world, Vokun is an AQWorlds volunteer artist hailing from the Netherlands. Inspired by the artists of Artix Entertainment, Vokun began his own artistic adventures with Flash less than a year ago. Vokun receives lots of help and positive energy from the Artix gaming community and continues to master his art and style. Want to thank Vokun for his hard work? Give him a shout out on the Forums! Now that you know everything about Vokun and the first Limited Time Artist Showcase Shop, get your gear on in the Battleon Game Menu! PS: Soon you'll see Vokun's NPC in-game permanently! He'll be moving to a room in the Underworld. Look for him (and the shop he'll have there) in the near future. This Friday: Journey to the Center of Lore! Look up into the sky, Hero, and then deep into yourself. Whether or not you are a mage, you have a bright, burning core at the center of your being. Magic users can see and manipulate this pool of energy, but ALL creatures on Lore have one. These are ley lines. Currently unstable. It connects you to the ley lines which encircle the planet. Those ley lines, in turn, are linked to the crystallized mana core in the center of the world. YOU are directly connected to that mana core... And something is very, VERY wrong with it! 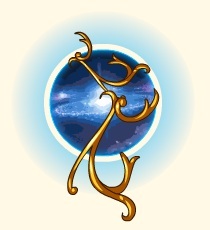 Artist Representation of the Mana Core. Not to scale. The forces of magic have become unbalanced, and Warlic fears that it might have something to do with the heart of Lore. This Friday, You'll need to journey to the center of Lore (dig ALL the way down through rocks and dirt and dead dinosaurs) to discover... and fix... whatever is causing magic to be so unpredictable!